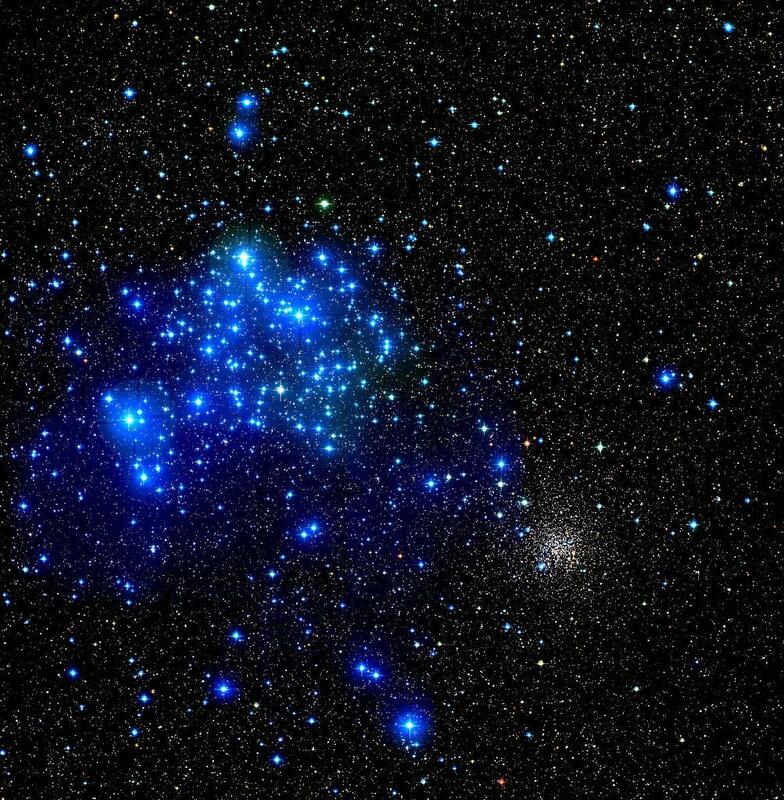 Open clusters are formed when a giant molecular cloud collapses under its own weight and quickly fragments into the hundreds, even thousands of stars that make up a star cluster. Observations show that the stars can be either sparsely distributed within the cluster or found in a rather compact formation. The large field of view of MegaPrime on CFHT allows astronomers to capture panoramic views of our own galaxy and here, an interesting perspective captures two open clusters in the same image, Messier 35 on the upper left and NGC 2158 on the lower right. These two clusters have no relation to each other since detailed study shows that NGC 2158 is four times more distant from us than Messier 35 and about 10 times older. Messier 35 is 2,800 light years aways from us and, having been formed only a little more than 100 million years ago, is a fairly young star cluster. All the stars in this cluster have freed themselves from their nascent shroud, a dense molecular cloud, by blowing away most the material leftover from the star forming process. However, some of this material is still present in the immediate neighborhood of these stars. Tiny silicate particles of interstellar dust scatter the light emitted by the bright blue stars in the cluster to produce the diffuse blue fog seen on this MegaPrime image. The picture was produced by exposing the camera for a few minutes in each of the three filters used to create this true-color image. 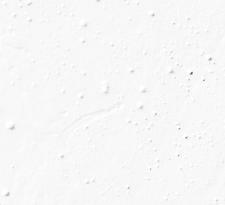 In contrast to the more routine use of MegaPrime by professional astronomers, our picture would be considered a shallow exposure and yet there are more than 350,000 stars detected on the full resolution image! Credit line: "Canada-France-Hawaii Telescope / 2003"
This higher resolution image (only 0.4% of the complete image!) shows many blue stars embedded in the diffuse fog they're causing. Stars come in a large range of masses as a result of the fragmentation processes taking place in the cloud. The most massive, hence brightest stars (say 20 to 40 times the mass of our Sun), have a lifespan of only a few tens of millions years before they self-destruct as supernovae. 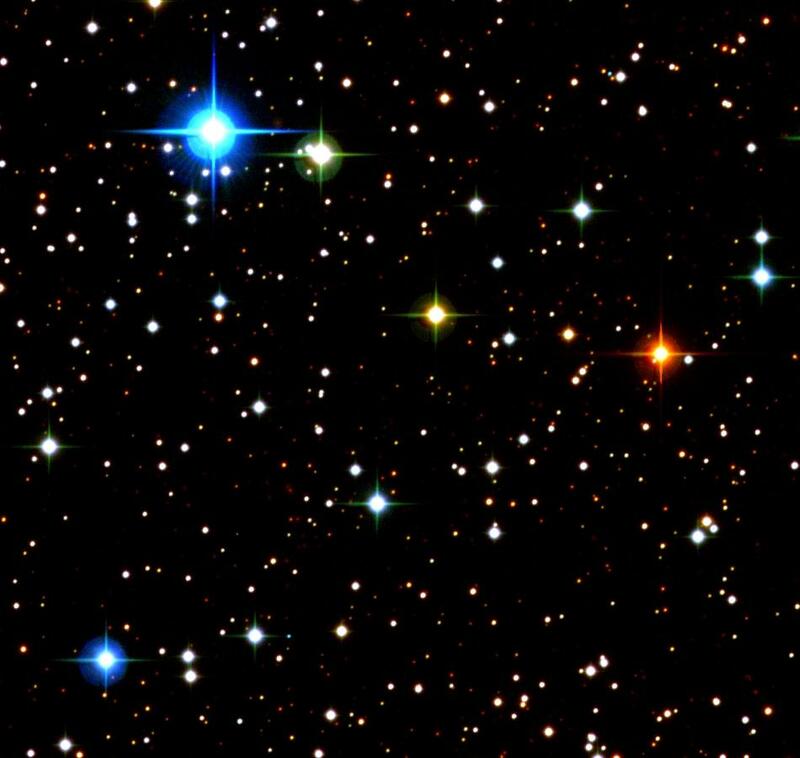 Also, the hotter a star is, the bluer its emitted light is, hence the blue stars seen here are bound to die in a relatively near future. The star cluster will continue its evolution with the smaller, hence cooler and redder, stars. MegaPrime / MegaCam: sub-region - 0.4% of the full 1 square degree field of view! 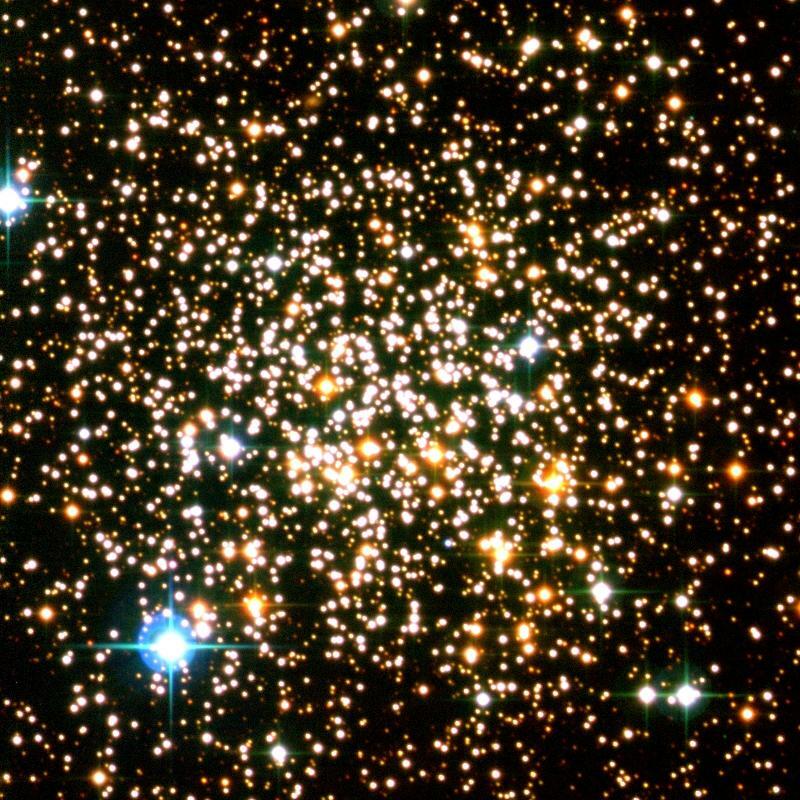 NGC 2158 is an open cluster about 10 times older than Messier 35 and it is composed only of evolved aged stars, hence yellowish since they are cooler than the blue stars found in Messier 35, for example, which equivalent population in NGC 2158 has been long gone. This cluster is still fairly compact and could be mistaken for a globular cluster. As a physical structure, an open cluster has a relatively short life since its stars escape one after another as the cluster encounters other galactic material along its orbit through the crowded disk of our galaxy, the Milky Way. The resulting population of the galaxy's disk is a mix of several generations of stars which create a semi-uniform distribution of stars over huge scales within the large structures of our spiral galaxy. 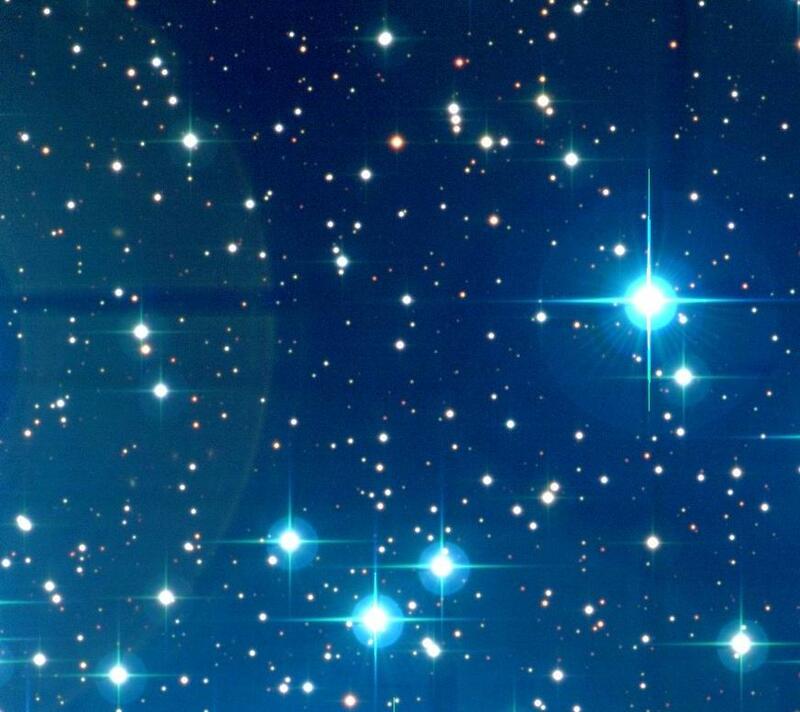 Since these stars don't have the same age, nor the same mass, nor the same distance from us, they do appear different as shown on this image where a probable couple of young blue stars from Messier 35 stand in the foreground and many others more distant and unrelated stars are seen in the background. The bright red star is most likely a red giant. MegaPrime / MegaCam: sub-region - 0.5% of the full 1 square degree field of view! Each of the regions described above are framed in a white box on this image. The surface ratio of these boxes to the full field of view is on the order of 0.5% only. These "zoom" window are intended to illustrate the power of high-resolution wide-field digital imaging at the Canada-France-Hawaii Telescope. All images on this page are to be used exclusively for the purpose of media announcements related to MegaPrime. For any other use, please seek authorization from CFHT's PR officer . Any images used should be credited as follow: "Canada-France-Hawaii Telescope / 2003"